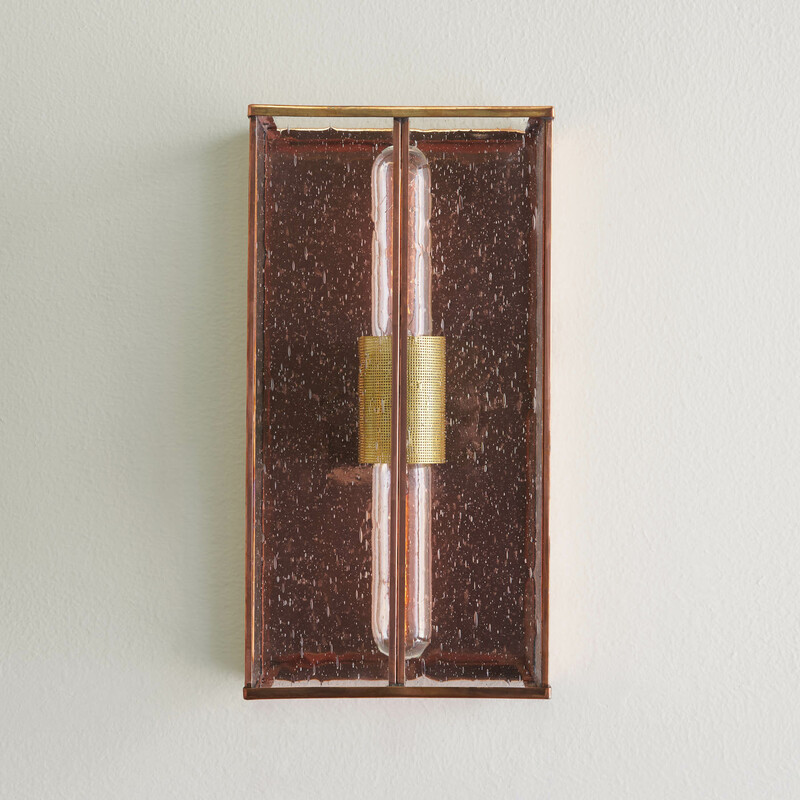 The Ruby Wall Bracket has a simplicity of design that suits myriad decor schemes. Perforated brass accent sleeve conceals socket. 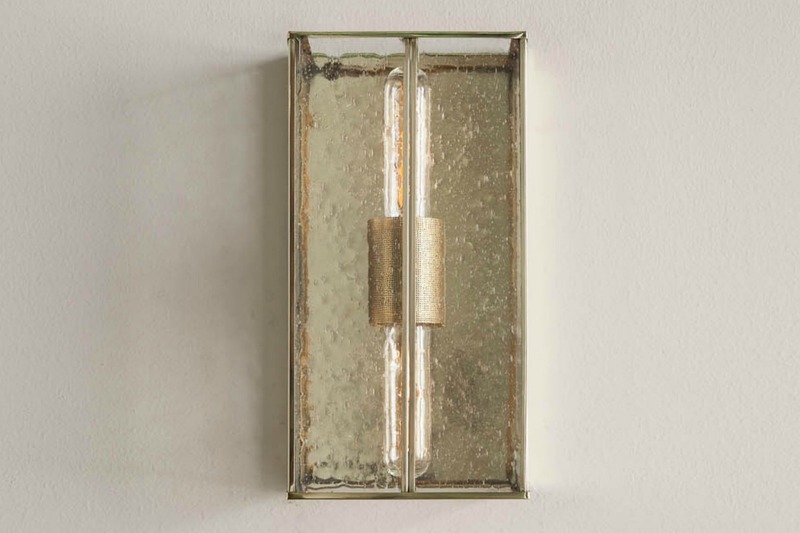 The fixture is comprised of polished brass, seeded glass and a perforated brass accent that conceals the socket cover while also adding a unique layer of texture. 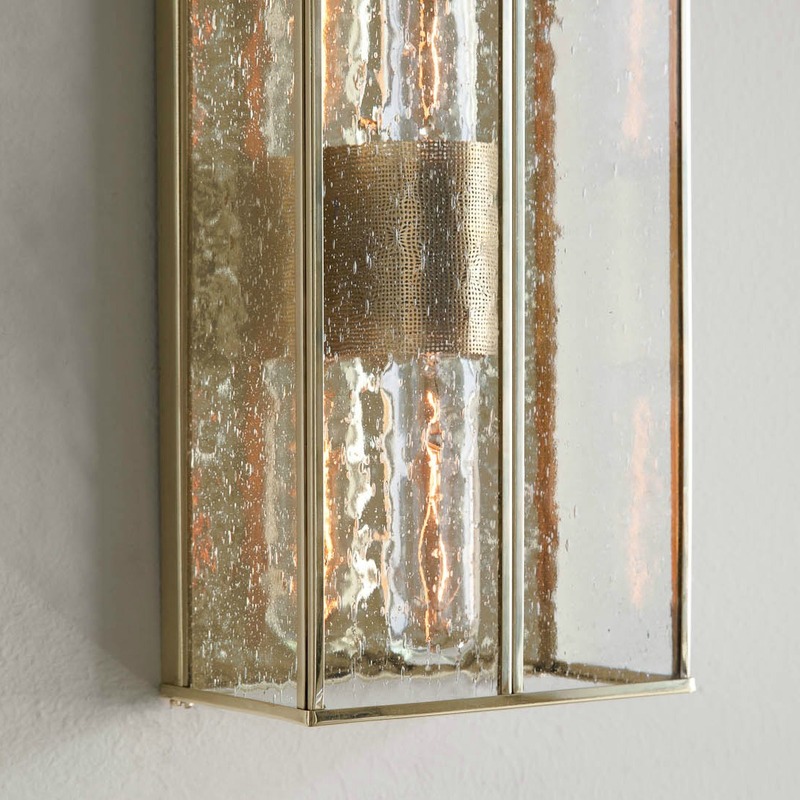 Three glass options: clear, seeded, or custom options. See our finish chart for available options. Fixture available in OXC, OXB and PB. 25 or 40 watt T-10 clear lamp. UL Damp/Dry Listed for your peace of mind. Also available as an exterior UL wet listed fixture for an additional fee. Versatility. The Ruby is an elegant indoor or outdoor option that lends beauty to any space. Functional. A low-projection wall bracket that offers the perfect blend of detail and simplicity. Sleek and simple. 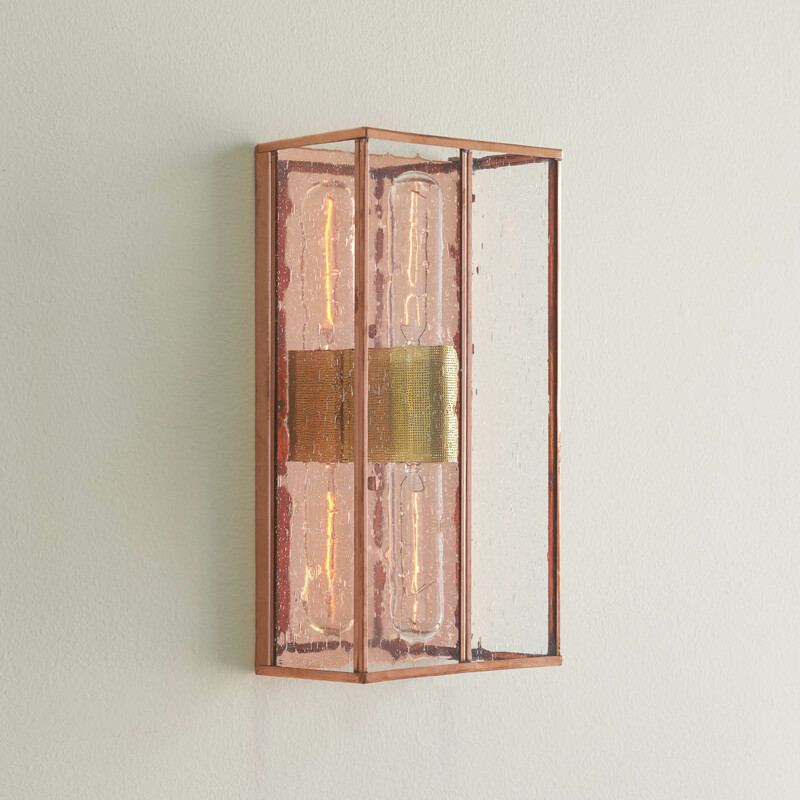 Sharp, clean lines and perforated brass details comprise the look of this fixture.